A distinct, modern bookshelf, the Dalton Bookshelf from Sunpan's Club Collection makes it easy to display antiques, books and other luxury items in a deluxe unit. The bookshelf is perfect for settings of all sizes because it features a sleek, stylish appearance that complements any room's d�cor. Plus, the bookshelf is exceptionally crafted, ensuring that you can enjoy it for years to come. Treat yourself to a bookshelf that will perform well for an extended period of time -- the Dalton Bookshelf. Distinct, modern design ensures you can display antiques, books and other luxury items in a deluxe bookshelf. 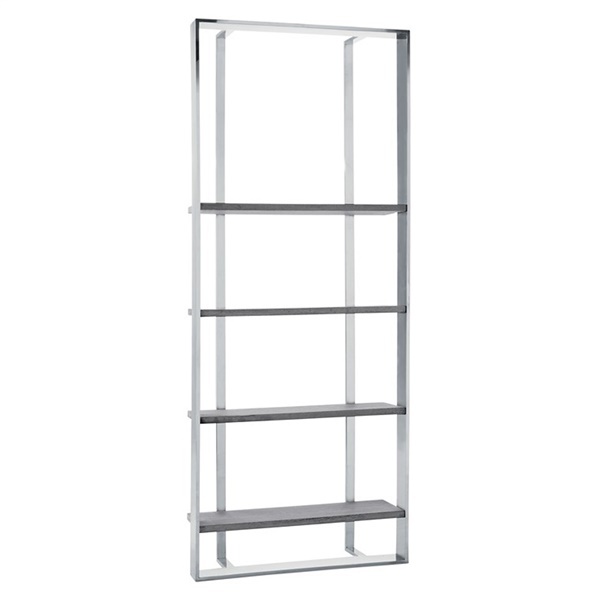 Features a sleek, stylish appearance that makes the bookshelf a perfect choice in settings of all sizes. The bookshelf is exceptionally crafted, ensuring you'll be able to enjoy it for years to come. Features a stunning stainless steel frame that is built to last.